Shake the Vodka and the Vermouth together well. 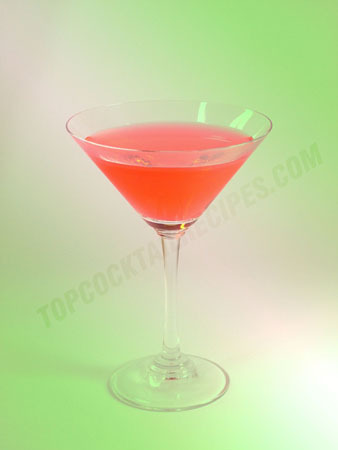 Strain into a martini glass, add the Grenadine and stir. Most like to frost the rim of the glass with sugar, very much like with the margaritas but using a cut strawberry instead of a lime. Drop a strawberry inside the glass instead of an olive like with the other martinis.